The VIP Tour takes place in a private room. Fees include your meal and an all-you-can-drink plan (alcoholic beverages included). 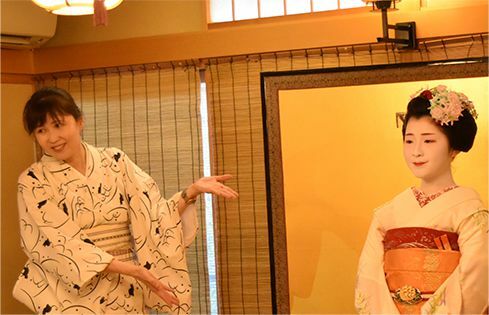 The tour includes a maiko dance performance and ozashiki-asobi (games played with maiko), and you are free to take pictures during the tour. 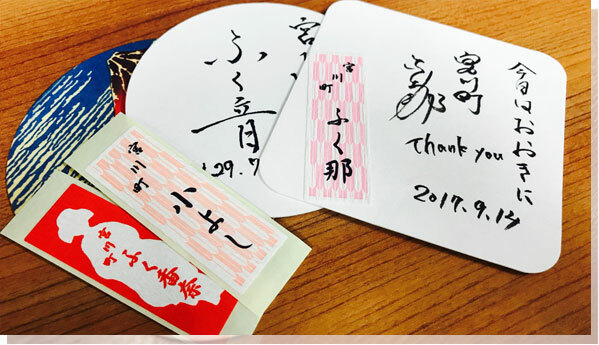 There is a special present for all participants from maiko in the end of the tour. A tour guide fluent in either English or Chinese will be provided for you. We recommend this tour for guests who cannot make time to participate in the Main Tour on Tuesdays. 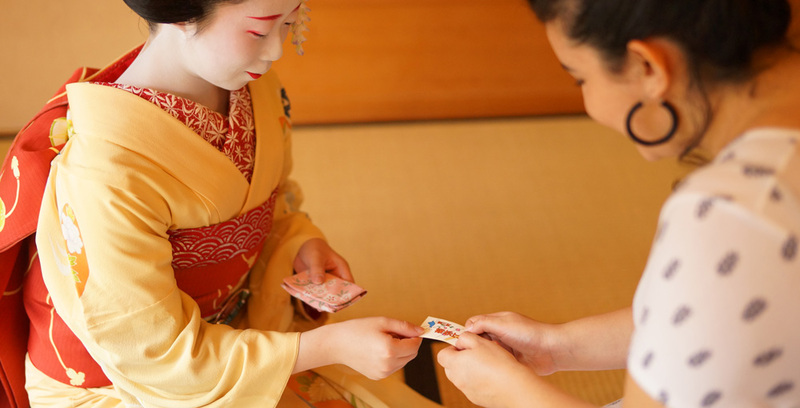 Maiko will give all guests an exceptional gift which cannot be got at other places! 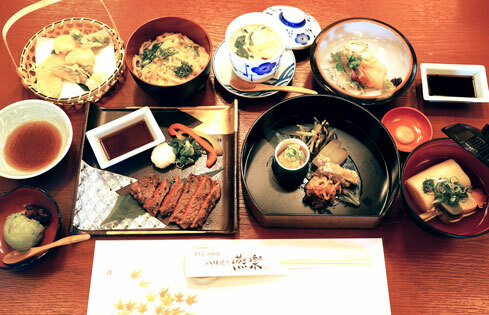 Kyoto-style Japanese muilticourse meal (appetizers, oden, sashimi, tempra, beef stake, rice and desert). 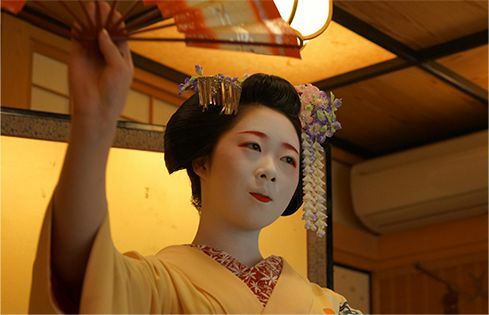 The maiko will perform an elegant and gorgeous dance for you in their beautiful kimono. We hope you will enjoy this performance which they practice daily to perfect. Please feel free to capture the special moment in pictures or videos. 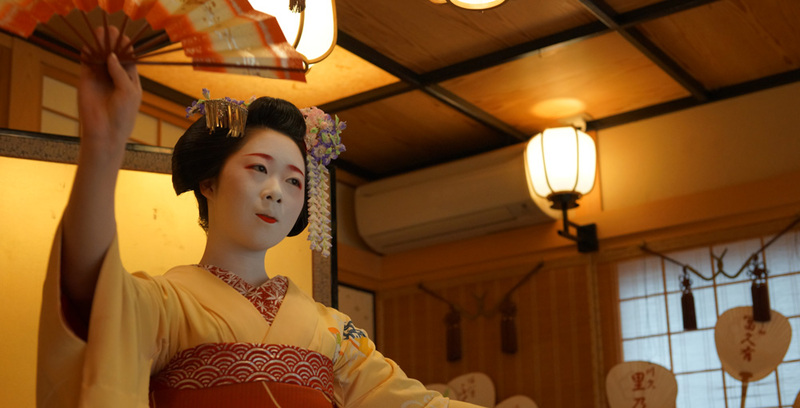 Our guide will explain about the culture of maiko such as maiko’ s kimono, manners and history. 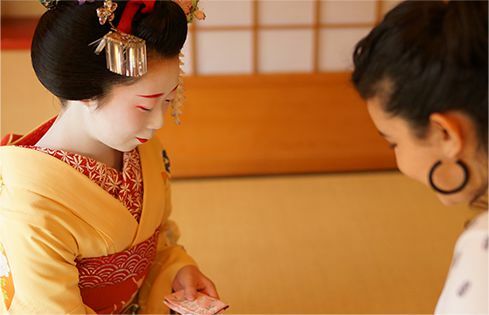 You’ ll learn interesting facts of maiko. The maiko girls will take turns visiting each group. This is a valuable opportunity to speak with the girls, so feel free to ask them whatever is on your mind. Our guide will be translator for guests who cannot speak Japanese. 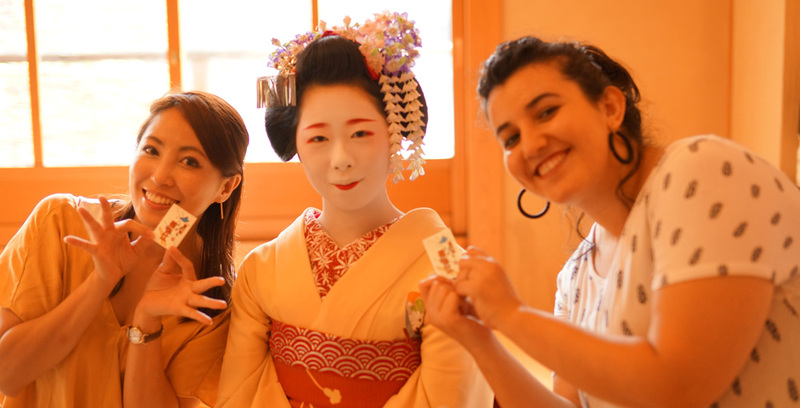 This part of the event allows our guests to experience ozashiki games with maiko. Being able to directly participate in the event is far more enjoyable than simply watching. We also have some simple prizes for our winning guests, and we hope you will participate in the games which we have prepared. You are free to take pictures with the maiko. You may also take pictures and videos during the dance and ozashiki-asobi events. 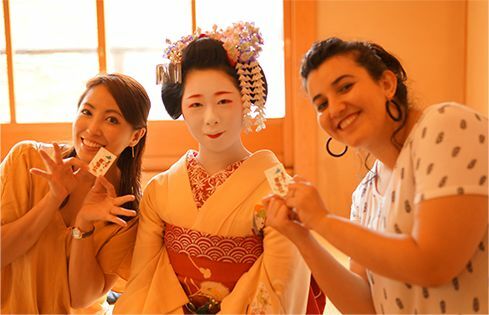 Be sure to take this opportunity to capture your exclusive Kyoto experience in picture and film. You’ ll receive pictures taken by staff after the event. Guests may choose their preferred day for this tour. 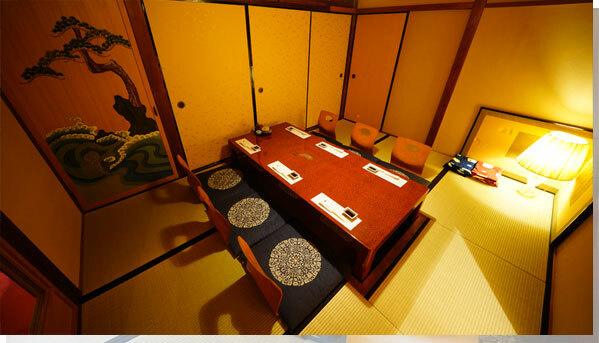 * Please make your reservation at least three days before your desired date. An event length of two hours between the hours of 11:00 AM and 10:00 PM.